← And all that is in it. Note: A “Google” search for this quote shows it most commonly written as “Be truthful, gentle and fearless.” However, Walter’s rendering (and his timing in sharing it) resonated deeply with me, so this is what I’m sticking with. Each line will be the basis of its own blog entry. Be gentle. These are soothing words that speak to me in these joy-filled, busy and ever changing times. In the midst of a health scare earlier this year that, thankfully, turned out to be nothing of concern, I promised God (and some concerned friends) that I would slow down a bit and be more intentional about what I take on and about making time and space for “self care.” Allowing myself to go to bed early or sneak in a nap here and there, and being faithful about meditation and exercise all fall under the category of being gentle. Being forgiving of self and treating myself with a bit of compassion rather than blame or shame or the “shoulda-woulda-couldas” also is a way of practicing gentleness. This call to be gentle took on special meaning this Wednesday morning, as I watched my friend Don tend the “garden of hope” at a local mission. 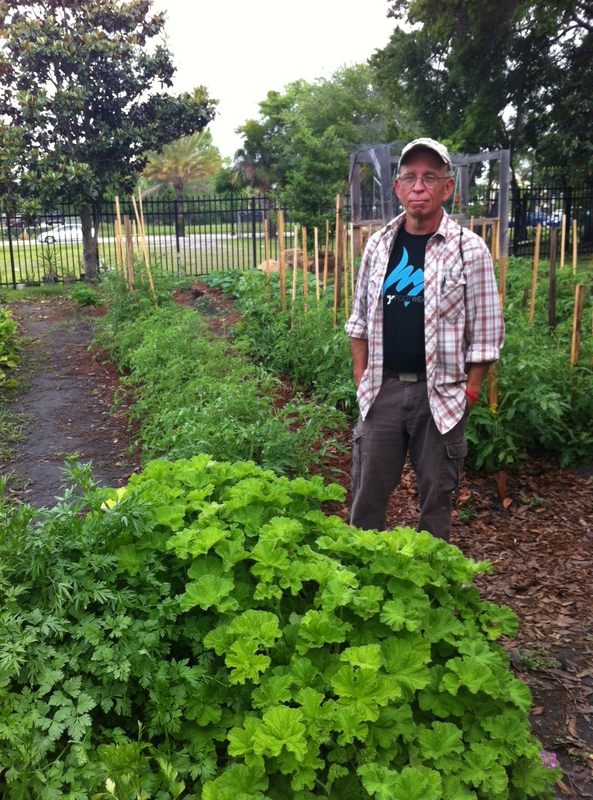 Over these past 6 months, I have watched Don move slowly and purposely through the garden, examining some leaves and new growth here and there, and occasionally harvesting fresh vegetables for the mission kitchen. He has such a peace about him as he moves quietly, lovingly among the rows. One morning late last year, I noticed several stalks of asparagus that Don had harvested. “It takes 3 years to produce a crop of asparagus,” he told me. It struck me how patient and gentle the gardener must be in order to allow his garden to bear food that will nourish. When I was in second grade, we planted orange seeds in small milk cartons. Each morning I could not resist digging up my seed to check progress. I did not know how to let it be. I have grown a lot since then. Waiting for asparagus might still be a tough one for me. But in the midst of a community that practices gentleness, one with another, I can imagine it would be possible. In the midst of such gentleness, there is much reason for hope. This entry was posted in 12-step spirituality, Christianity, faith, peace, Recovery, Uncategorized, unity and tagged 12-step spirituality, Christianity, church without walls, community, healing, holy ground, homelessness, hope, mercy, radical hospitality, spiritual growth, vulnerability. Bookmark the permalink. 6 Responses to Be gentle. Thank you for the gentle reminder Beth. Enjoy this god filled day. What a great offering…thanks for sharing this patient Gardner with us! Thank you for the reminder it is okay to take a minute for yourself and to be patient and gentle. I was once told by a spiritual counselor that it’s okay to keep a piece for myself. I didn’t have to give it all away. I still have to be reminded to keep that piece for myself with attaching guilt. Easy does it.